Ruler, flexible curve or templates that you may have that you want to try...suggestion don't purchase anything until you see how we use them. Sketch pad/paper for drawing out designs before marking them on the quilt and for note taking. A practice piece ready to quilt for class (suggested size 45"x45" as the LARGEST). Have the quilt layered to quilt. 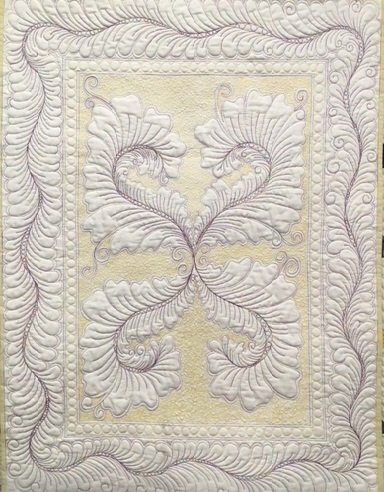 Requirements: Basic machine quilting experience is necessary to have success in this class.